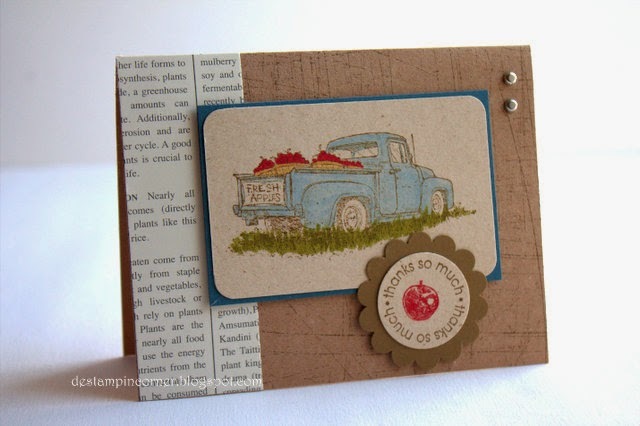 A masculine card using the Countryside stamp set. Such a cute truck with apples in the back. I love apples and used to decorate my house with apple decorations. I no longer have apple decors anymore but still love to eat apples though. I love granny smith apples. I love the crunchiness and the sourness of it. Yum!